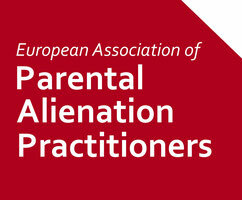 A Praga l’11 luglio 2017 si tiene il primo meeting della European Association of Parental Alienation Practitioners. Sarà presente anche William Bernett. L’associazione EAPAP è nata dalla collaborazione tra la Family Separation Clinic (Regno Unito) e il Centro per la Protezione del Bambino di Zagabria con il contributo di professionisti di vari paesi europei. The first meeting of the European Association of Parental Alienation Practitioners will be held on 11 July 2017 at Charles University, in Prague. The meeting will bring together practitioners who work with children and families affected by the problem either as therapists, psychologists, expert witnesses or researchers. The idea for the European Association was developed through the partnership work of the Family Separation Clinic, based in the United Kingdom, and the Child Protection Centre of Zagreb, Croatia, and with practitioners in the Netherlands and Belgium. Through working in partnership, it is possible to see how best practice in each of the European countries can bring about a stronger response to the problem of alienation. The Association is designed to bring together practitioners to share knowledge and develop policy and practice responses in individual countries, drawing upon learning from each member country. The Association is being convened by the Family Separation Clinic which, though based in London, works around the world with parents and children affected by parental alienation. The Clinic works to the standards established by key experts in the field and undertakes research and evaluation to determine the efficacy of outcomes for children. The Clinic uses a model of intervention which is internationally recognised as bringing about swift change for alienated children. 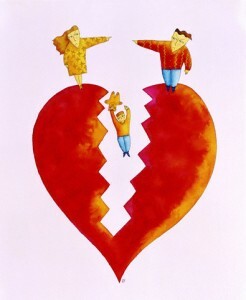 Sharing knowledge and skills is a key component in enhanced understanding of the problem of parental alienation and the opening meeting will be addressed by William Bernet M.D who is the President of the Parental Alienation Studies Group, a worldwide group focused on developing understanding and awareness of parental alienation. The meeting will also hear from Professor Dr Gordana Buljan Flander, Director of the Child Protection Centre of Zagreb, who advises the Council of Europe and UNICEF on child protection. Professor Flander will discuss the way in which the Child Protection Centre of Zagreb has worked with the Family Separation Clinic to embed services for families in Croatia affected by parental alienation. Each participant is invited to submit a biography and short summary of their work with parental alienation in their member country. These will be hosted on this website and each member will be invited to talk about their work at this first meeting. We very much look forward to welcoming you to Prague and to this first meeting of the Association which is an exciting step forward in establishing mutual support, learning and furtherance of best practice in working with parental alienation across Europe. It is expected that the group will agree the key principles and values of the Association which will be set out for discussion during the meeting. There is no charge for registration as the Family Separation Clinic are hosting the meeting which will include refreshments throughout the day although lunch will need to be paid for. Ideas for accommodation close to Charles University, which is very central, will be circulated in the coming weeks. 85571 visitatori dal 22 marzo 2019.